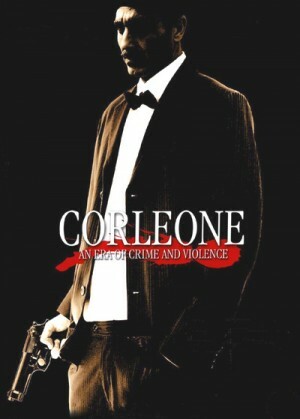 'Corleone' narrates the life of Salvatore 'Toto' Riina between 1943 and 1993. From a difficult adolescence to his rise to power within Cosa Nostra , passing via the many bloody episodes which saw his ascent. A story which starts when, as an adolescent, the future boss powerlessly witnesses the death of his father and younger brother in the explosion of a bomb leftover from the war. From that moment on, he becomes the head of the family and will have to fight poverty. He creates a small group of extremely trusted followers with Provenzano and Bagarella, he joins up with the most powerful criminals of Corleone who climbs the ladder towards mafia power, first dominating Corleone then Palermo. These are extremely bloody events which see the conquering of power by means of unprecedented violence and hundreds of deaths. Only a childhood friend, Biagio Schiro, chooses another destiny, that of becoming a police officer and undertaking the mission of routing his ex-companion in an extremely delicate role which will make him persecutor and pursued and will lead him to run enormous risks. 'Corleone' is also the story of Riina s great enemies, the martyrs who have fought the mafia to extreme consequences, from the head of Police Mangano, to Boris Giuliano, the general Dalla Chiesa, the judges Terranova, Costa, Falcone and Borsellino, and the group of Captain Ultimo who, on January 15, 1993, will succeed in finding and arresting Toto Riina.